Is Your Multivitamin Getting the Job Done? When I worked in a chain pharmacy, the number one question asked of me was, “What’s the best multivitamin for me?” At the time, I always recommended various brands that had once daily tablets. After attending a nutritional symposium, I learned the best multivitamin probably isn’t available at your grocery store or discount supermarket. There are several key points you should consider when shopping for “the best” multivitamin. • Complete – It should contain vitamins A, D, E, and all 8 of the B-complex vitamins; minerals including calcium and magnesium; and trace minerals including iodine, copper, chromium, manganese, molybdenum, and zinc. Iron supplementation should be limited to menstruating females and anemics. Excessive iron levels have been linked to increased cancer risk. • Absorption/Availability – Your multivitamin should be readily absorbed, usually in liquid or capsule form, and should contain the form of vitamins and minerals that is available to your body. For example, natural vitamin E (d-alpha) is better absorbed and metabolized than synthetic vitamin E (dl-alpha). Supplementation should take place throughout the day to allow your body time to efficiently absorb everything you are giving it. • Reliable – You want a company to put in the multivitamin what it claims it puts in. Until recently FDA only ensured the safety and labeling of a supplement. 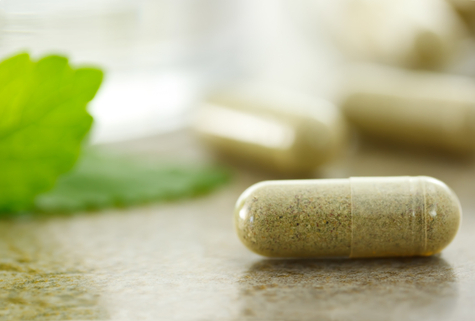 FDA recently passed a rule to mandate manufacturers to evaluate the identity, purity, strength, and composition of their dietary supplements; however, pharmaceutical grade supplements already comply and exceed the standards. • Makes a difference – Obviously, you are the final test. Every person’s supplementation needs are unique depending on age, gender, current/past diseases, diet, genetics, lifestyle, stress level, and other medications and supplements taken. In addition to a multivitamin, everyone should supplement with essential fatty acids (omega-3 and omega-6), commonly referred to as fish oil, and antioxidants such as Coenzyme Q-10 and vitamin C. Multivitamins normally don’t contain adequate amounts of calcium, magnesium and vitamin D necessary for bone health, especially for women. Your body can only absorb 500 mg of calcium at a time so you must supplement at least twice a day. Keep in mind that Recommended Daily Allowances (RDA) were established to merely prevent disease such as rickets and scurvy. They are not designed for optimal health, nor do they take into account the different needs of individuals. Unfortunately, in today’s world it is impossible to get all the nutrients you need from food because of soil depletion, processing, cooking, and the storage life of produce. With the rising cost of healthcare, taking a quality and effective daily multivitamin may be the less expensive route to reducing the risk of disease and maintaining good health. The number of years you are alive are not nearly as important as the number of years you are healthy.